The sense of the physiological condition of the entire organism (i.e. interoception) represents a fundamental perception that serves a correct and balanced functioning of the human body. Interoceptive information constitutes a core element in a variety of psycho-physiological systems and processes; therefore the possibility to consistently stimulate the interoceptive system with specifically targeted inputs has a fundamental value both in assessing and clinical settings. 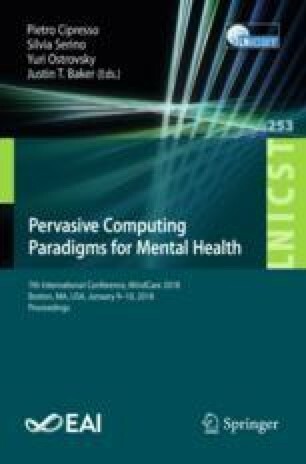 The article illustrates a new technological portable device able to delivered precise interoceptive parasympathetic stimuli to C-T afferents connected to the lamina I spinothalamocortical system. Interoceptive stimuli can be programmed in a variety of parameters, ranging from continuous stimulation to modulation of frequency and variance. Implications and possible applications are discussed in both assessing protocols and clinical treatments as well. Conceptualization, D.D.L. ; Writing – Original Draft, D.D.L; Writing – Review & Editing, G.R., and P.C. ; Hardware and software development: D.D.L. ; Supervision G.R., and P.C.